Tullibardine distillery has released its second whisky in the Marquess Collection, a 13-year-old single malt matured in Châteauneuf-du-Pape wine casks. 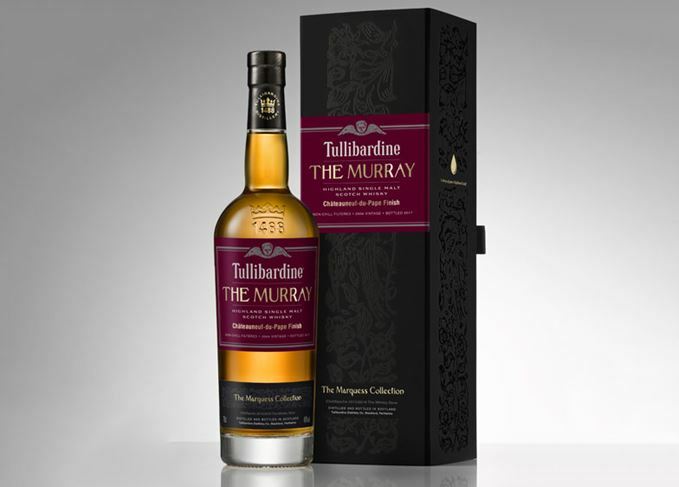 A sequel to 2004’s The Murray, Tullibardine’s latest release has been matured in first-fill American oak hogshead casks before being recasked in French wine barriques from the southern Rhône, and bottled at 46% abv. The Murray Châteauneuf-du-Pape will exclusively retail at Whisky.de from July at around €60 per bottle, but will be available worldwide in early 2018. Matured for 52 years, the single malt is the third whisky to be added to the series. The great sommelier proved you can combine ambition and drive with humility, says Richard Woodard. The Murray Marsala Cask Finish is the second in the collection to have a wine cask finish. The Australian whisky maker talks barley, wine boilermakers and distillery expansion. The latest whisky to join Glenmorangie’s Legends Collection is inspired by ancient wines.